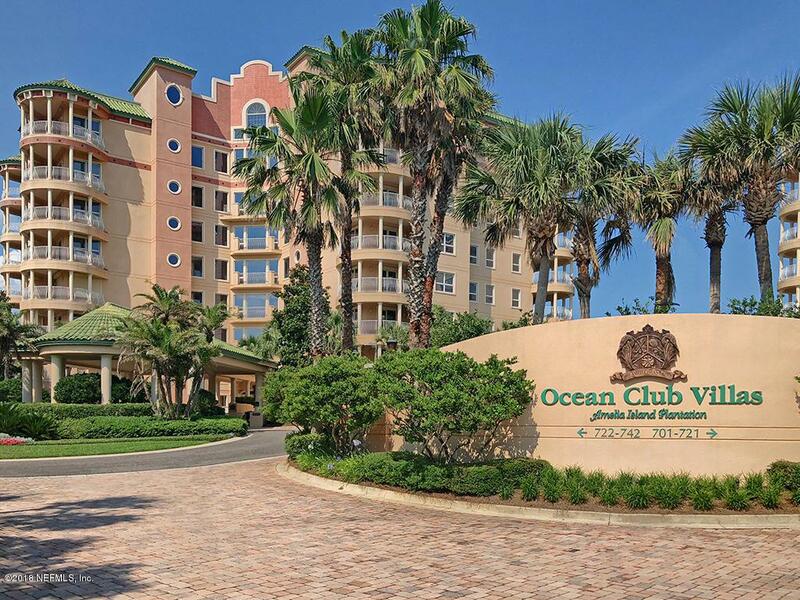 Luxury oceanfront living at the beautiful Ocean Club Villas! 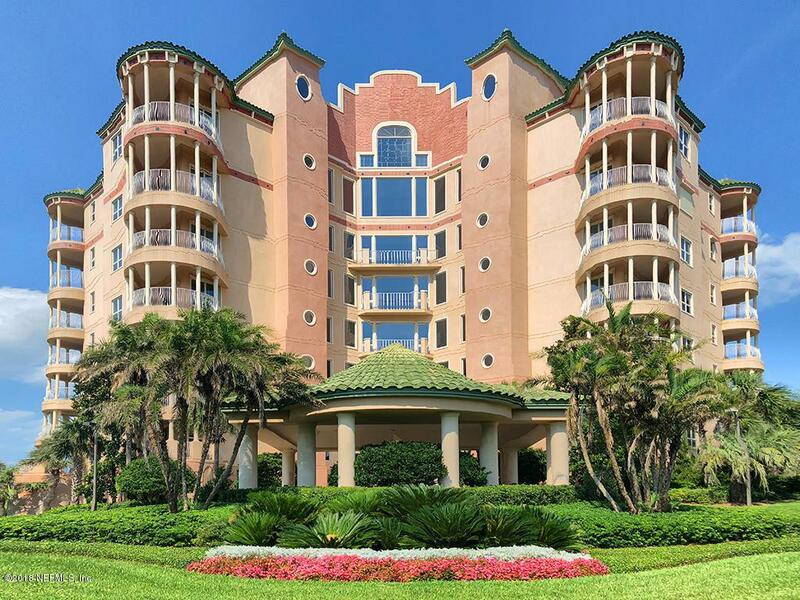 At 3,230 sq ft, these are some of the largest condominiums on Amelia Island. Oversized travertine tile throughout, designer window treatments, tray ceilings, gas fireplace, custom wet bar, and built-ins create layers of luxury. 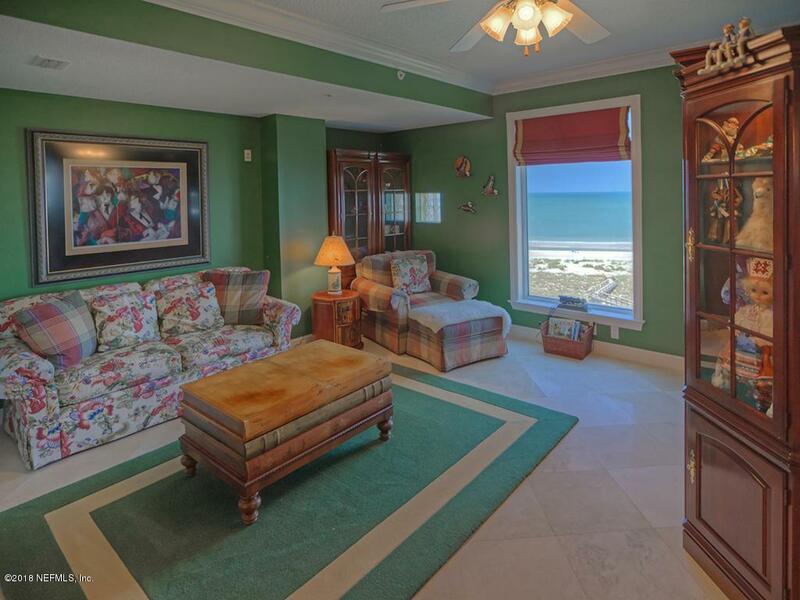 The Master Suite boasts of a large oceanfront balcony with Jacuzzi, a private bath w/jet tub, shower, double vanities, and a large walk-in closet. 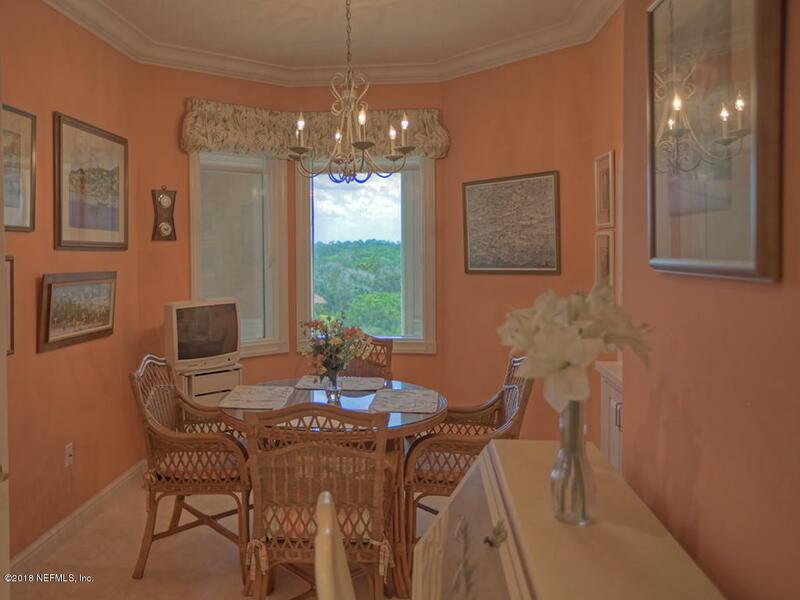 One guest bedroom walks out onto a balcony with an ocean view. Another guest bedroom provides a full bath en suite. The den is also plumbed for an easy conversion to a bedroom/bath/closet. Amenities include beach access, oceanfront pool/lounge area, double covered parking on ground level, and a 90 sq ft storage room with shelving, refrigerator, and dehumidifier.